I’m pretty sure this is Nakoruru from Samurai Shodown, but I don’t remember her to have a mask, do you? Anyway, Nakoruru is living with her grandparent, Sanoku, and younger sister, Rimururu in a place called Ainu Moshiri Kamui Kotan. You could say that the Ainu people are like the Native Americans in the United States; people who are basically very close to nature. Nakoruru’s role in the game is the Defender of Mother Nature, and in some materials, she is refered to as the priestess of the Ainu religion. 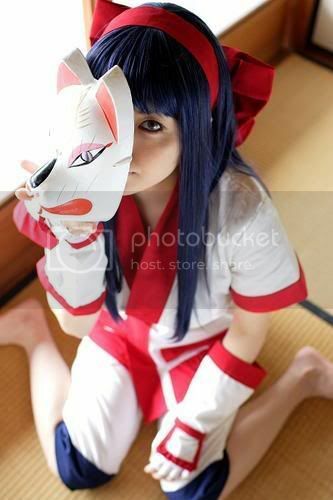 I’m seriously wondering what this cosplayer looks like behind her mask… Nice photo still! Samurai Shodown, also known as “Samurai Spirits” is one of SNK’s more popular fighting games. The character this cosplayer is portraying is probably not too familiar with most, but he is my favorite character. Shizumaru Hisame first appeared in Samurai Shodown 3. The first time I got the play the game series was on the Sony Playstation. 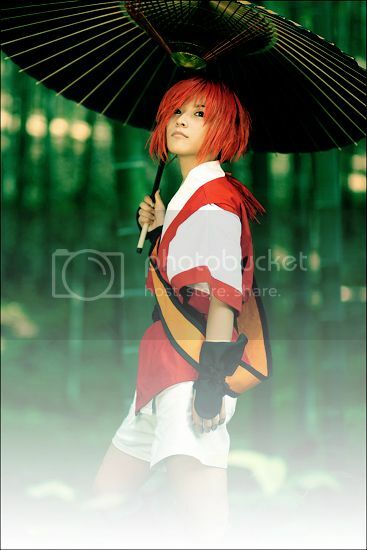 It was also around the time when I was still addicted to Rurouni Kenshin. Here’s a trivia: Did you know SNK purposely removed the “w” in the word “showdown” to save programing time? You see, removing the “w” made the number of letters in “Spirits” matched “Shodown” and it was much easier to simply change the character rather than adding an additional character. You are currently browsing the archives for the Samurai Shodown category.